Writing Weekends: Should You Splash Out? 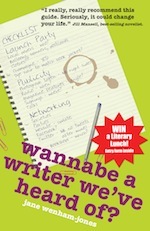 Is splashing out for a writing weekend a useful tool for aspiring writers? You can read the article by Pam Fish, chairman of the National Association of Writers’ Groups. Follow this link to the AuthorCraft website. or click on the picture (right).